B and I are the type to get in the car and go with no destination in mind. We just like to go on drives and explore. 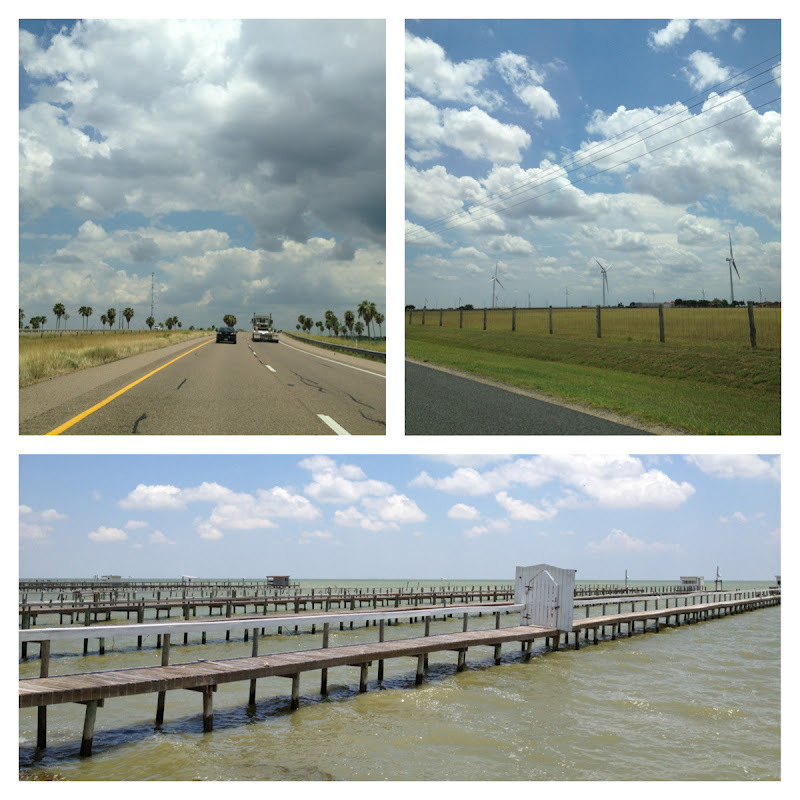 This past Saturday we headed towards South Padre Island but took a little turn down Highway 77 through Raymondville and ended up in Port Mansfield. Port Mansfield is a town known for its fishing due to its location being nestled in the highly saline waters of the Laguna Madre. As you can see, it was the most splendid Saturday with the sweetest clouds adding to the already beautiful scenery. I was really taken aback by how many young girls were out here fishing. What a fun hobby to sit at the dock and enjoy the water. Unlike many waterfront towns, Port Mansfield is not very commercial at all. It seems like people own/rent homes or come in from neighboring towns to fish. If you are looking for a some low key fishing trip, this seems like the place. The water is not very deep here, averaging about 3.5 feet in depth which allows you to wade in the water with your fishing pole. If you are looking for more of a beach town, South Padre Island is not too far away. Until we get our fishing gear, I'm not sure we will be coming back soon but it's always nice to go somewhere new and check it off the map. Have you gone somewhere new recently? 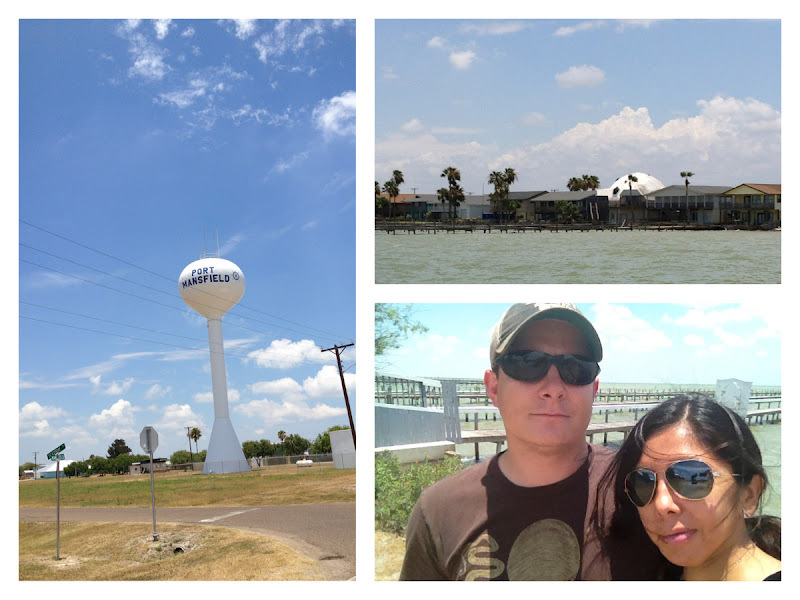 J has been to Port Mansfield (first time we lived in TX) but I haven't. He's really into fishing, so I'll have to remind him about PM. Your photo of jade water and cerulean sky is lovely. Like you, we are determined to explore more of TX while we're here. yeah I definitely love just going for a drive and checking out a new area. And I'm going to Greece next week, wooooooot! Sunday we drove to Tahlequah, a cute Okie college town and had pizza at Sam & Ella's. Then we went to the public pool in Wagoner. I know you miss being in CA but I have to say you have discovered so many beautiful spots in Texas - I love seeing them all! And you just reminded me that I need to do a post on my trip to Colorado - so different being near streams, mountains than where I live! I've missed so much over here on your sweet blog. I adore this post, and the pictures. I have never heard of Port Mansfield, but now I want to go. I love to go fishing, and haven't done so in a very long time. The water looks pretty. LOVE the picture of you and your hubby.